Looking for products and services in the SA/CF Postcode area? Enter your search above - new business categories are coming on board every day. We only advertise local businesses (not big chains) and we live locally. Do you have a local business in or near Swansea, Cardiff, llanelli, Neath/Port Talbot etc...? We are a local business marketing service to help local businesses cut costs and make more money. We work at local level so you get local support. which of these would you prefer? If you want to get better noticed by Google and the other search engines,plus get marketed to get found. An enhanced listing costs only £49.95 setup and £40 per month! see how we can help or fill in the Contact Form. Builder, all building services, project management,building problem solver specialist, specialist builder. Car air conditioning and servicing, as well as commercial air conditioning. Carpets for Home, Business, flooring. State of the art CCTV and alarm monitoring station capable of handling either closed circuit transmissions or web based monitoring systems via broadband. upvc facias and guttering, plastic products. Advanced hearing aids ltd offers the most technologically advance hearing aids available today. Property Lettings Agent, property Let, rental properties. Master Driver CPC Periodic Training in Swansea and Uk. nurseries swansea, nursery swansea, childrens nursery. Public Houses, Clubs and Associated places, Rugby Clubs, Football Clubs. Singers , Vocalists and wedding entertainers. Get your business marketed and found! 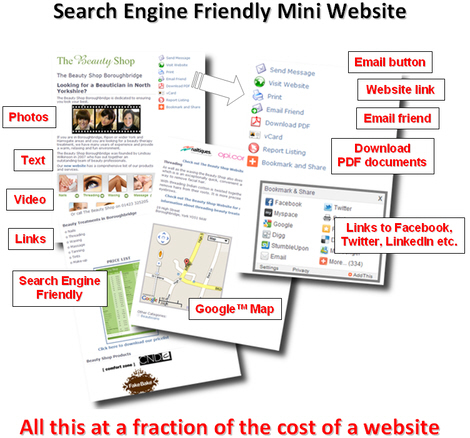 not just a website or a listing, but a search engine optimised marketing suite that we market for you. Get your business found and get more business.